We are proud to announce that the Irvine Groves Homeowners Association has selected Tinnelly Law Group as its new legal counsel. Located in the City of Irvine, the beautiful Irvine Groves community consists of 231 condominiums located just one block from Irvine High School and a few blocks from the Irvine Heritage Park Library. In addition to nearby retail and dining, Irvine Groves’ residents enjoy a community pool, spa, greenbelts and tennis courts. 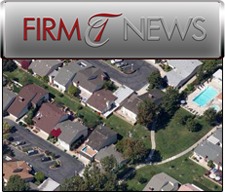 Our HOA attorneys look forward to working with Irvine Groves and to developing another lasting relationship with a Homeowners Association client.